Even as Articles 370 and 35A generate considerable heat as Jammu & Kashmir wades through the summer of General Elections, crucial issues of ecology and envireonment remain conspicuously absent from the hustings. The state votes in five phases of the total seven. In Kashmir, elections in Baramullah were held on April 11, 2019; Srinagar votes on April 18; and Anantnag will vote on April 23, 29 and May 6. Not that the region doesn't face environmental challenges. In fact, some of them can have geopolitical fallouts. Shrinking glaciers tops this list. Through summer these glaciers charge the Valley's water bodies, like streams and canals used in irrigation and rivers that flow into Pakistan. The state also witnesses two of its major lakes — Dal and Wular — become smaller. Dal, the mascot of Kashmir's famed natural beauty and a major tourist puller, has shrunk around 36 per cent in almost four decades. According to a study by Srinagar’s Directorate of Environment, Ecology and Remote Sensing, it has shrunk to 1,620 hectares in 2008 from 2,547 hectares in 1971. Wular, which is the largest fresh water lake in Asia and was designated a Wetland of International Importance under the Ramsar Convention in 1990, is worse than Dal. Since 1911, the overall water spread and marsh areas have shrunk by more than 50 per cent. The water-holding capacity of the lake that helps prevent floods and drought is fast diminishing. 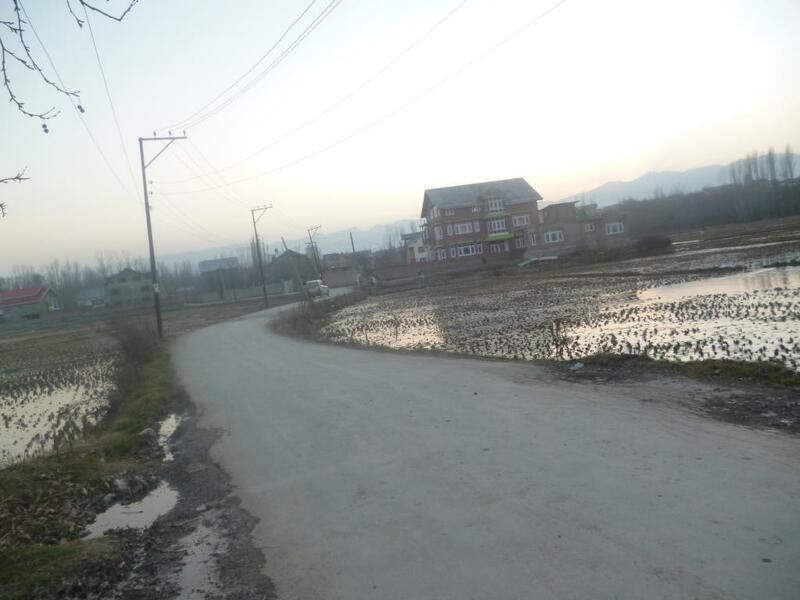 A government study has also revealed that more than 50 per cent of water bodies in and around Srinagar have disappeared during the past century. Over the past three decades, Kashmir has also witnessed a steady conversion of farmland into ones used for non-agricultural purposes. As a result, food grain deficit, which in 1950-51 was 32 per cent, has now shot up to 81.5 per cent. But water still is the most contentious issue. Recently, India threatened to stop J&K rivers from entering Pakistan after the Pulwama attack. According to the Indus Water Treaty (IWT), Pakistan gets water from three J&K rivers — Jhelum, Sindh and Chenab — and India gets the right to completely divert water from Punjab rivers — Satluj, Ravi and Beas. Shrinking glaciers threaten to reduce the discharge in J&K rivers, which will reduce the distribution of waters between neighbours. If there is less water available to meet J&K needs, even lesser will flow to Pakistan. This may impact the country’s agriculture and its economy. Another related issue is hydro-power generation, again a politically touchy issue. Under IWT, the Valley can only generate electricity from run-of-the-river power projects. So, the depleting discharge in rivers will mean a progressive decline in generation capacity. But, as of now, J&K faces severe shortage of electricity, an irony for a state that exports power to the rest of the country. According to an estimate, around 84 per cent of the 3593 megawatt of energy generated in J&K goes to the northern grid and the state buys a chunk of it back for its consumption at a hefty cost of Rs 7,000 crore annually. But that is still not enough to meet its needs. Can the state do much? The state doesn’t even have an agency to address its water problems as IWT already takes care of the larger issue — the rivers. J&K had long ago sought the return of power projects the NHPC Limited had constructed on its rivers but the Centre declined. This is when Salal project, the 1975 ownership order for which clearly says that it had to be reverted to J&K following a payment of the depreciated cost. About receding of glaciers, the state can hardly do anything. One of the factors that may be accentuating the shrinkage, apart from climate change, is Amarnath Yatra. It is a two-month pilgrimage to the holy cave shrine high up in the Himalayas. Every year, more than half a million people travel on foot along a mountainous trail alongside glaciers to reach the shrine. But regulating pilgrimage in protect the fragile environment is too politically sensitive an issue to be addressed. Why no focus on green state? J&K also faces mass unemployment, an underperforming economy (as the state imports 96 per cent of goods) and dwindling tourism. But these issues barely reflect in the routine political discourse of the state, let alone during an election campaign. And there are reasons for this. In popular perception, the accent in public discourse on development and environment issues is perceived as a motivated digression from the ongoing Azadi campaign. Besides, Ahmad added that issues like water, power and development are seen as a consequence of the political conflict in and over the state and are hence not considered addressable unless the conflict itself is resolved. Ramshoo warned that neglecting green issues in public discourse and the consequent lack of effective administrative redressal can cost not only J&K but the entire region heavily.